Today I had the pleasure of talking with Jason Strickland. 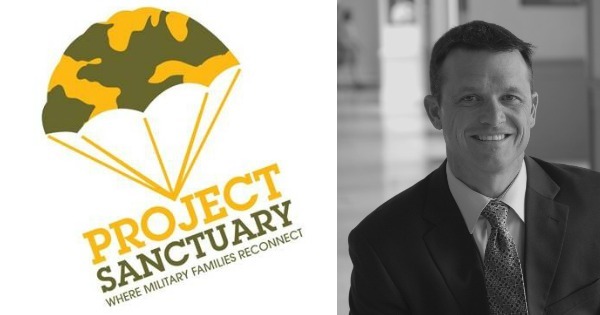 Jason is a retired Lieutenant Colonel with the United States Army and currently serves as Chief Development Officer with Project Sanctuary. If you listen to the show you know we have had several guest on where we discuss the effects that Deployment and Military Service has on soldiers. We sometimes forget that it is not just the soldier that suffers but the entire family of that soldier also. The spouse, children and other loved ones are all affected. The rising rates of TBI, PTSD, Alcholism, Depression and Suicide and many other concerns in the Military and their Families is staggering. Thankfully there are people and organizations that want to help and can help, like today's guest. They take Military Families from Battle Ready to Family Ready with Amazing Retreats and ongoing support. We get into much more about the program in the show, you will not want to miss this one !